During 1970s, the term information technology and communication technology was a little-known phrase that was used by those who worked in the places like banks, telecommunication, hospitals etc. Today, information technology has become a household phrase. It defines binds places as industries, supermarkets, and others that use computers, networking, software programming etc. This age is also called "Age of Information and Communication Technology" where technology is playing a very important role. As we know, computer technology is called information technology, which process data and provides information and telecommunication. This is the technology of sending data and message over long distance. The term ICT is now used to refer to the combination of computer technology with telecommunication as well. 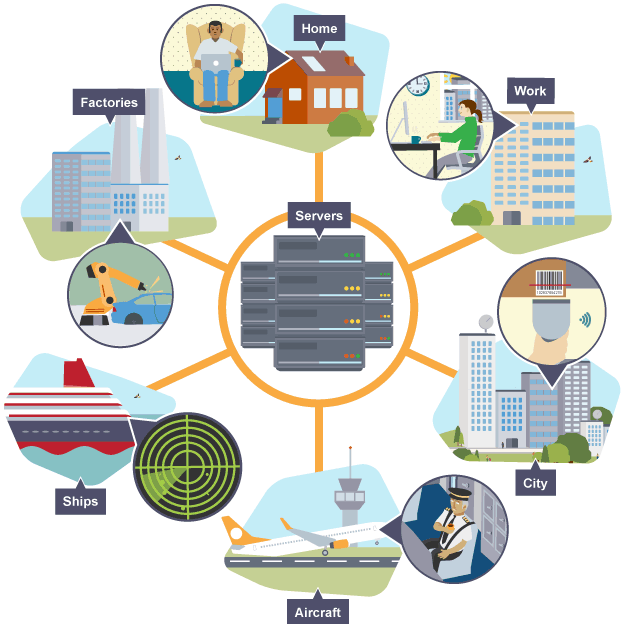 So, the combination of a computer network technology with telecommunication is called Information Communication Technology. ICT can be defined as the set of technological tools and resources used to communicate and create, disseminate, store and manage information. These technologies include computers, internet, broadcasting technologies and telephony. The development of ICT has made our life easier and comfortable. Due to the development of information and communication technology, the world has changed into the small global village. Today a man who lives in one corner of the world can get and share information by using his/her computer.We can attend a virtual class using the Internet through ICT. ICT has helped in each sector of our life. Computer technology is called information technology, which process data and provides information and telecommunication. ICT can be defined as the set of technological tools and resources used to communicate and create, disseminate, store and manage information. Due to the development of information and communication technology, the world has changed into the small global village. Write any three devices used in ICT. Communication Devices like Television, Radio etc. Describe why this age is known as "Age of Information and Communication Technology". During 1970s, the term information technology and communication technology was a little-known phrase that was used by those who worked in the places like banks, telecommunication, hospitals etc. Today, information technology has become a household phrase. It defines binds places as industries, supermarkets, and others that use computers, networking, software programming etc. 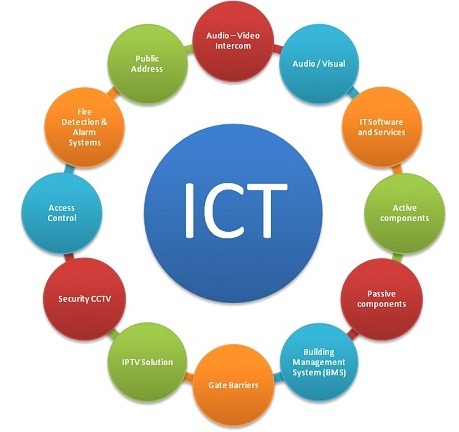 ICT has covered each and every sector of our life. This is the reason why this age is known as"Age of Information and Communication Technology". _________ can be defined as the set of technological tools and resources used to communicate, and to create, disseminate, store and manage information. We can attend a __________using the Internet through ICT. Which of the following is the technology of sending data and message over long distance? The combination of a computer network technology with telecommunication is called __________. what are the applications of ICT? Any Questions on 'Information and Communication Technology '?